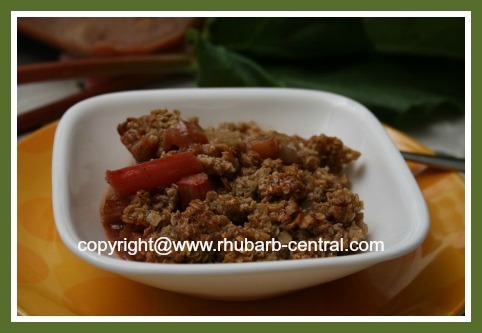 This Homemade Rhubarb Crisp Dessert Recipe (see the pictures!) 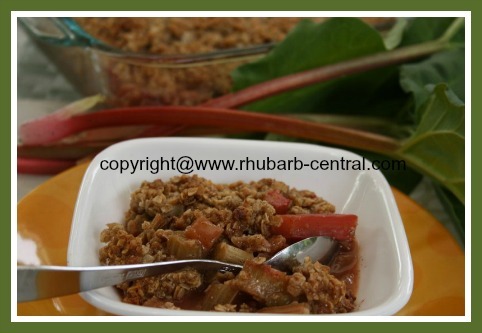 is a great fresh rhubarb recipe using field rhubarb or greenhouse rhubarb. This yummy crisp recipe includes honey and oats for an amazing sweet and crunchy mix! 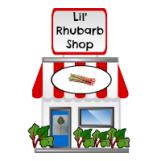 If you have just harvested your rhubarb, and you are looking for a recipe for fresh rhubarb to make dessert, you have just found a great one here! In a large bowl, using a wooden spatula, stir together the chopped rhubarb, honey flour, cinnamon and the (optional) ginger, until well combined. 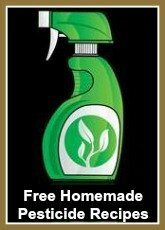 Transfer the rhubarb mixture into a greased 9" square baking dish. 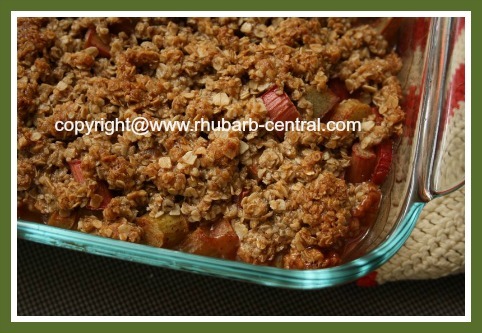 Sprinkle the topping evenly over the rhubarb mixture in the baking dish. 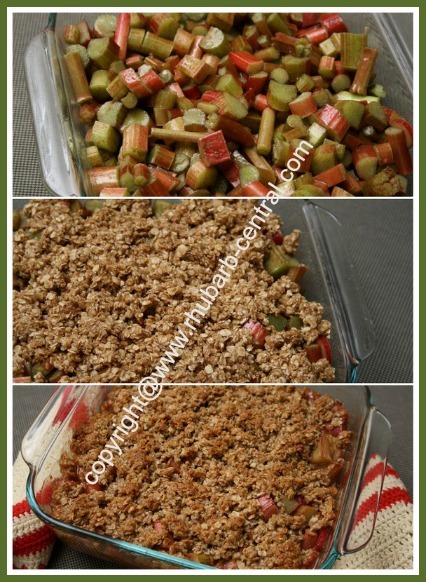 Bake at 375 ° F for about 35 - 40 minutes or until the rhubarb is tender and the topping is golden brown. Serve warm or cooled plain, or with a dollop of ice cream, whipped cream, whipped dessert topping, Greek Yogurt or frozen yogurt! 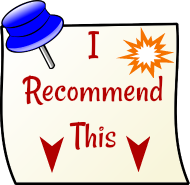 Any left-overs (I doubt you will have any), can be store for several days in the refrigerator, and (if desired) easily re-heated in the microwave.